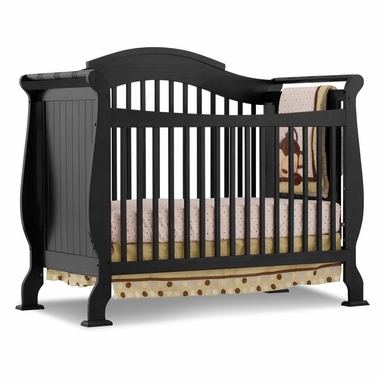 Your nursery will be stylish and very safe with the Storkcraft Valentia Fixed Side Convertible Crib. The stationary sides and adjustable mattress add essential safety to the comfort that every baby needs. It has a stunning Black finish and the most graceful sleigh style available. The design is especially charming with a curved back rail that adds a delightful accent to the decor. Smooth edges keep your baby's hands safe while grabbing to pull up. This crib changes as your child grows and is the one and only bedding your child will need. From crib to toddler and daybed to a top-end full-size bed (full-size bed rails not included) with beautiful headboard and footboard with crib rails. 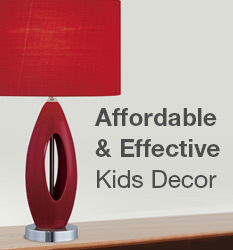 It is a delight of solid wood and wood products and a non-toxic finish. Convertible Crib measures 50.5" x 29.5" x 61"